Child Support « The Law Office of Linda A. Bailey, P.A. Successful child support solutions can be structured even in cases with difficult or unique circumstances. Child support in the State of Florida is determined by child support guidelines that account for the incomes of both parents. Although these guidelines are fairly strict, there are several factors the court can consider to deviate from the amount calculated by the statutory child support formula. We can advise you if any of these factors apply to your case. Once determined, the amount can be modified if either party’s income changes significantly or other significant changes that affect your child support need or ability to pay occur. Investigation of assets generating income. Support for special needs children. Support for a child’s medical needs. Support for private school in certain circumstances. 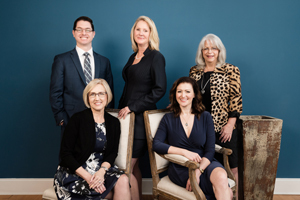 Our attorneys respect that parents have goals for their children requiring certain levels of support, and we work with clients to find child support solutions that meet those goals. 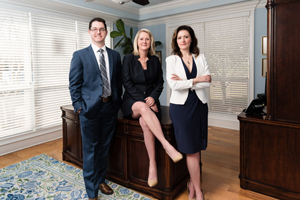 The family law attorneys in our firm aim to develop child support solutions that will allow parents to provide the best for their children given their economic circumstances. Our experienced family law attorneys provide assistance and strategic guidance to help our clients answer child support questions. The guidance we provide has been developed over decades of experience.